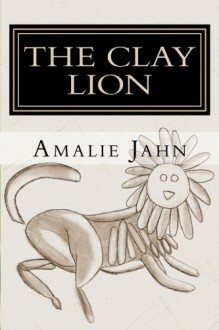 The Clay Lion was Amalie Jahn's first novel for young adults and she hasn't stopped since. Tin Men and Among the Shrouded are her other two young adult novels and are just as fantastic. The rules are simple. If you want to travel back in time, you need to be at least eighteen years old. You can only travel within your own lifespan for a maximum of six months. And above all else, you must never, ever, change the past. As Brooke Wallace faces existence without her beloved brother, his life cut short by a rare disease, she can think of only one solution – travel back in time to prevent his death. However, her attempts at fixing the past challenge her to confront everything she believes to be true about herself. And ultimately, she is forced to discover whether or not we can ever truly be in charge of our own destiny.